I'm still here, counting down to summer break with Simple Spring Engagement Tips. Last week, I talked about a crazy easy way to get students excited about the humble discussion. 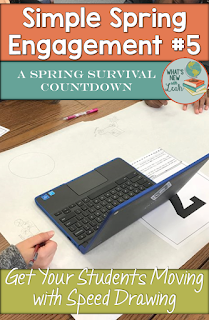 This week, I'm linking up with an amazing group of teachers to talk about something that, even though it is effective (especially in the heady spring months), is often overlooked in the secondary classroom--MOVEMENT. Students are already antsy in the weeks leading up to summer break--we may as well channel those ants and use them for the greater good. The conundrum of the secondary ELA and social studies teacher is the enormous amount of content we have to squeeze into the year. It's often tempting here at the end to stream a documentary and throw warning glares at the talkers and fidgeters (and I'm not saying I haven't done this--no judgement), but what if we could channel all of that energy for good? Speed Drawing is an excellent strategy that allows students to move and be creative while you sneak in learning (sort of like kale brownies). Case in point: I am tasked with teaching the history of the world in one school year. About the time we hit the time period between WWI and WWII, the students are finished. I have this really important lesson about culture between the wars--I mean, it explains a lot of how we intellectually got where we are today. The second part of the lesson is really active and engaging for the students, but in order to get them to that point, I have to lecture a bit up front. The students are not amenable to hearing me lecture a bit when pollen's in the air. And quite frankly, I'm not amenable to doing it. To give you a bit of unnecessary background on the genesis of this idea (which I will backtrack and say is necessary because I think it's important for teachers to get ideas from everywhere, and thinking through the pedagogical process is beneficial). I was cutting through a colleague's classroom, a wonderful ESL teacher at my school, when I noticed decorated butcher paper all over the desks. I had to forego my initial mission (a coveted trip to the restroom--hard to come by) to ask her what it was all about. She was doing a jigsaw reading activity. Her students were assigned a portion of a reading from a novel. They had to read it closely, discuss it, draw a representation of it on the butcher paper, and share it with the class. I ran and got the fantastic co teacher who works with me two periods a day. "You have to see this!" I said. "I think we can use it." She and I were discussing the culture between the wars lesson later that day. 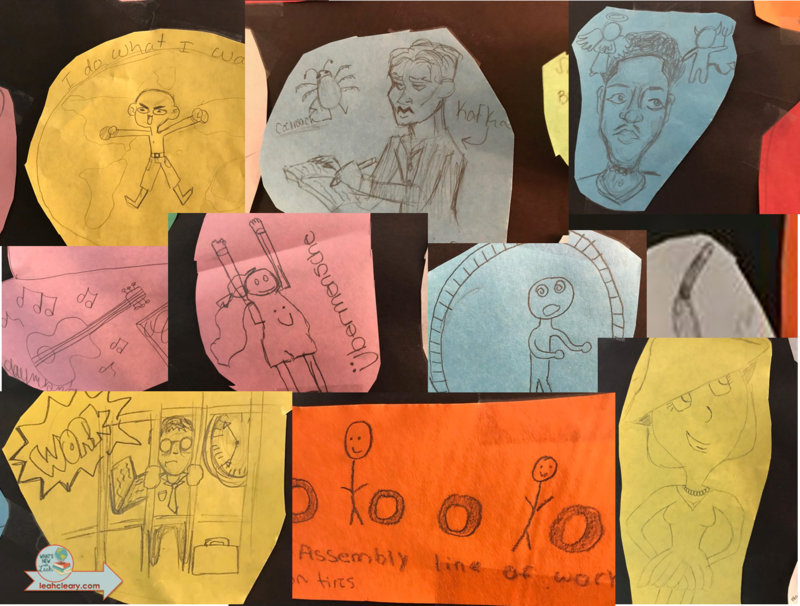 I mentioned that the part leading up to the student created gallery walk was a reading and a short PowerPoint with video clips that essentially plays out like a lecture. She said, "Why don't we do the butcher paper thing instead?" And so speed drawing was born. literature, technology, art, music, and fashion. 2. I embedded the films from the PowerPoint into Google Slides--one slide for each table (we placed a Chromebook on each table with the slide ready to go). 3. I set up seven groups for each class and a station rotation schedule (I have a free explanatory video and EDITABLE templates HERE--be sure to grab them!). I typed the instructions for students on the instruction schedule (two per sheet to save paper) so they could get started when the bell rang. 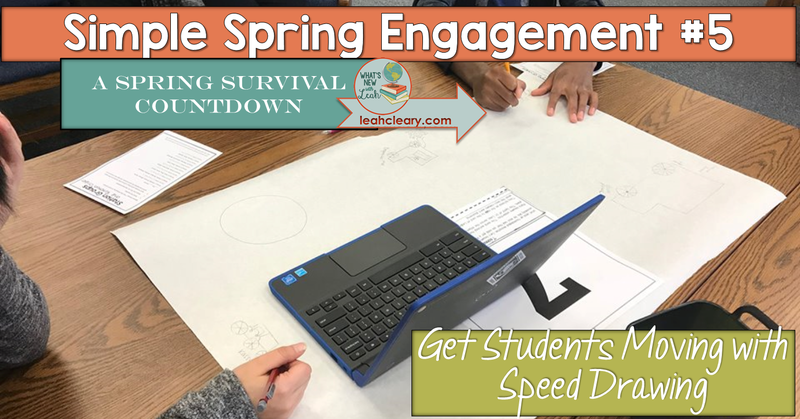 And it is important that they get started when the bell rings because I set the timer on classroom screen for 6 minutes per station--that's why it's called "speed drawing." I'm now on traditional schedule, so that gives us three minutes up front for clarification and five minutes at the end for debrief. 4. Students start at a station. They read the short snippet and watch the film (three or fewer minutes), and they draw as soon as an idea hits. Their drawings do not have to be perfect--they simply must encapsulate a key idea from the station. I do specify that each student draws on the butcher paper, not just one person in the group. For accountability, I require them to write a caption and sign their name to their picture. I did add an extra element of fun to this activity. We switched out the butcher paper for each of my classes so that each class had clean paper (but each group within each class used the same paper) and the following day, I asked other teachers to help decide which class had done the best job, and, yes, I had told the students there was a competition among classes, and, yes, deciding was largely subjective. But they did really want to win. The winning class won 50 XP (experience points) for each student. XP has to do with my gamified classroom, but if you don't gamify, there's always candy or extra credit. Are any of us really above bribes at this point? (Wait--don't answer that.) They were way excited to find out who won, though--a major win for this time of year. 5. The last thing you should consider is sending the message that their work really matters by "publishing" it (I explained why this is worthwhile HERE). What I mean by this is re-purposing what they've done. Don't just hang up the butcher paper from each class (if you have the space for that, I'm jealous). Mash it up. Cut out the most compelling pictures--not always the best, but a wide variety of thoughtful pics. 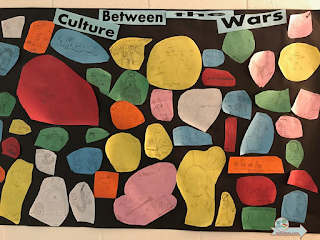 Tape or glue those on a larger piece of butcher paper, and hang it up--my students were seriously excited to see this hanging in the classroom. Channeling those student "ants" is key for success this time of year. Sometimes it's just a matter of tweaking assignments we already have so that students can move. "Speed Drawing" enables them to move from station to station, considering content, and responding to it in pictures. 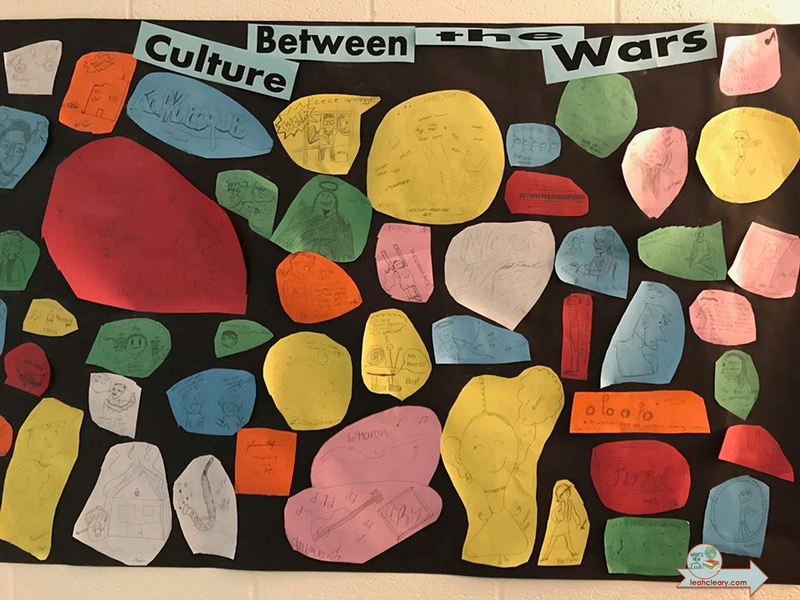 Thanks to Darlene Anne and Pamela Kranz for hosting this link up of fantastic ideas for movement in the classroom--something that we secondary teachers truly need inspiration for this time of year! This is a fascinating idea. You had me riveted from the beginning, and I love the drawings you captured for the piece. Fabulous idea! Thank you for sharing. I can't wait to try this. This is such an amazing idea! I bet your students love having you as a teacher! I love the idea of speed drawing and I can see how my ESL students would love it too! Speed drawing is such a clever way to get kids moving! I think my middle school ELA students will get a lot out of it. Thank you for sharing so many great ideas on your blog.